Take chicken, cornflour and garlic powder in a big bowl and mix them well. 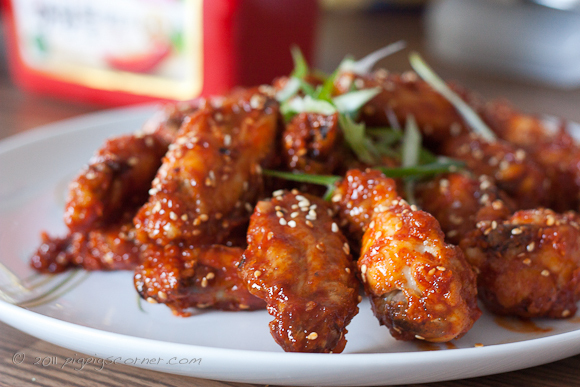 Deep fry these chicken wings in hot oil. Keep them aside. In a separate wok heat 1 tablespoon of oil and saute onion . Add chicken wings in the wok and then add both the sauces and salt according to taste. Stir fry them for 1-2 minutes and serve them hot . Garnish this with roasted sesame seed.